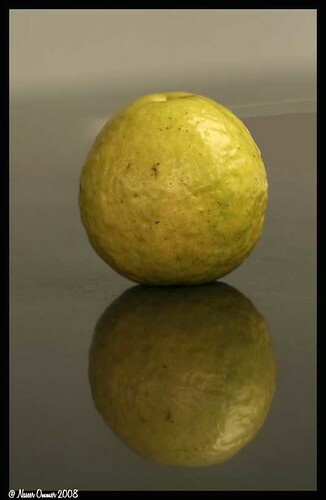 De Super fruit - Guava, originally uploaded by Naseer Ommer. Shana Tova to all of you celebrating Jewish New Year. May this year be sweet like a Gala apple dipped in honey, full of good deeds as a pomegranate, peaceful as a bowl of plain rice and fragrantly exciting like under ripe guava. Rose Buds, originally uploaded by Seitti. Tomorrow I'll be back at Portobello West after a short break. It just one market that I missed due to my trip, but it was long enough absence to make me excited about the market! Not only that, but also tomorrow I will be getting my first tin of the new tea in my perfumed tea series. This time it's the tea version of Roses et Chocolat! I can't wait to smell the tea blend and brew a cup of this edible beauty. Those of you who live in or near Vancouver, come down to the Rocky Mountaineer Station (1755 Cottrell Street & Terminal Ave.). Click here to learn how to get there. 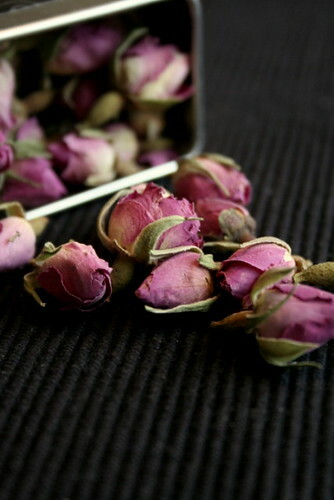 On another note, Rose et Chocolat perfumed tea is just one of many surprises coming up this fall and winter. Watch out for two more perfumed candles (the fragrance will remain secret until release date!). Dumpster Graffiti, originally uploaded by JenWaller. The non-mathematical principle above suggests that the marriage of two elements creates a third entity: the relationship between the two. Have you ever seen a couple act completely different when together than when they are alone? As if there is an invisible entity between them, determining how they relate not only to one another but also to the world around them. Essentially, the togetherness of the two becomes a third person (and I'm not speaking of babies). This is the principle of perfume. 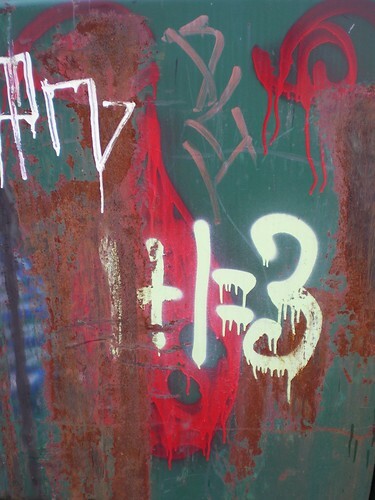 An entity that is greater than the sum of all its parts - mathematically speaking, of course: We know that perfume bounds to the laws of alchemy rather than mathematics or chemistry per-se. Visit Intelligent Life for an interesting article about perfumer Christopher Brosius. Take-off, originally uploaded by Ayala Moriel. Crossing half way of the world in autumn time has it's pitfalls. Especially when traveling from a very warm country (Israel) to a rather cool one (Canada). From a relatively "cool" day of 31 degrees celsius in Tel Aviv, I was greeted in YVR by a relatively nice day (aka: the weather was cloudy and lightly vancouvering as usual) with highs of 14 degrees celsius. Thankfully, the humans inhabiting the city are more warm and welcoming than it's climate. My 4-week-long absence was due completely to a wide selection of family functions of the utmost importance. Namely, my daughter's Bat Mitzvah, and my brothers wedding, which lasted a full week if counting the preparations in which all family members and friends took part in. One of my contributions was preparing nearly 300 perfumed chocolate truffles in 5 different flavours. It wasn't exactly a vacation or a holiday but it was an amazing trip nevertheless. Thankfully, my company was blessed with the kind assistance of Tina, who took care of all the shipping until I return so customers don't have to wait 4 weeks for their perfumes. Let's give a hand for Tina for the awesome help and the smooth and seamless work she's been doing! Now all the parties are over and I'm back in Vancouve just in time to put the fall and winter efforts on full blast and hopefully also find more time (and internet connections - I did come home to find that my modem from Telus is dead and they are taking their time - 10 days! - to send me another one). I'm not sure what there is to write about but I'm sure it will come to me as I settle into my little routine and work groove, with no family to distract me. Being jet lagged and all has its advantages though. Such finding yourself wide awake at 4am and than completely tired by 7am. I decided to greet the gloomy weather yesterday by wearing No. 19 in parfum and it turned out to be an excellent choice. So excellent that I repeated this perfume early this morning before fixing a breakfast of walnut bread, pickles and brie. I realize now that there is going to be much more added meaning to a perfume that is experinced over many years. 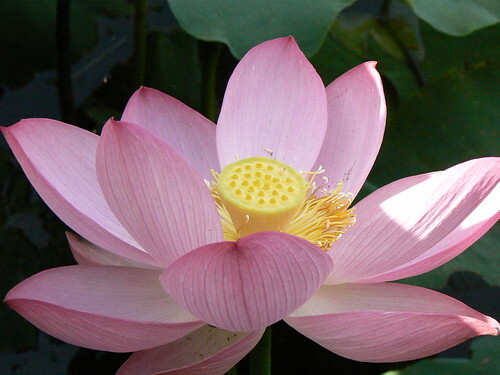 Shifts in attitude and mood and other life circumstances set the tone to the ways it will be perceived in the future. I may end up refering to No. 19 as my early in the morning jet lag perfume, perfect for waking up early and starting the work day before anyone else does. To my trip, by the way, I only took with me 6 perfumes in very small bottles - Zohar, which I intended to wear at the wedding but spilled entirely in my back pack (something that never happened before and only happened now because I recently put this bottle on display and failed to ensure it is sealed before packing it); Bon Zai, Gigi and a little oil blend I recently made of various ambrette seed essences and a hint of vanilla co2. I also took Le Parfum de Therese and Un Jardin Apres la Mousson (both perfect for warm weather, however I have to add that Un Jarind Apres la Mousson was barely noticeable in the very hot and humid weather). I also took Narciso Rodriguez Eau de Toilette which I worn only once before bed time and than a tiny bit on my flight back. This fall holds many news and events at Ayala Moriel - but I will save the excitement for when the time arrives. For now, I just wanted to wish everybody a wonderful fall, since it has just begun 2 days ago. Let's enjoy to its fullest this time of transformation. Gelato, originally uploaded by bokchoyboy. One of the joys resulting from the bond of marriage is the sharing celebrations between the families and exchanging recipes that might have been a family secret otherwise. On Thursday, September 18th, was a big day: the wedding of my oldest brother and his lovely bride. Their marriage marriage that is sure to bring happiness not only to the young couple but also to all those who surround them in the past, present or future. My new sister-in-law is from an Italian-descend, and so in the short time I spent meeting the new addition to the family, I had the pleasure to try many interesting Italian dishes, including thinly sliced white eggplants from Sicily, prepared with zucchinis and mint, eggplants parmigiano and the fabulous ice cream from Savta Fausta's kitchen. Savta Fausta, a grandmother from the bride's family, has passed on to my brother a recipe for a homemade Italian ice cream that judging by the simplicity of the ingredients, process and tools must be a very old recipe. 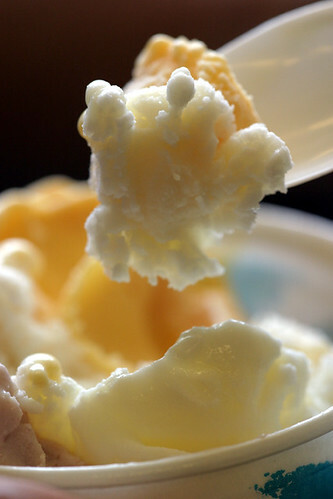 It requires no churning of the ice cream during the freezing process, and results in an ice cream that is light and fluffy as snow, with myriads of tiny dreamy air bubbles captured within the foam of fresh cream and egg whites. The following simple recipe may or may not be prepared with the addition of flavouring essences - such as pure vanilla extract, cocoa, fresh crushed strawberries or flavourful liquors (i.e. : Kaluah). My brother and I prepared it plain with no flavouring and it's fantastic. I also prepared it myself with the addition of 1 teaspoon vanilla extract (added to the whipped cream) and it was incredibly mouthwatering. - Separate the eggs and let them sit in separate dished until they reach room temperature. - Beat the egg whites until foamy and add the sugar, by sprinkling one tablespoon at a time and beating between additions. - Continue beating until a meringue forms and it will not spill from the bowl if flipped upside down. - Add the egg yolks to the meringue, one at a time, and continue beating with the mixer. - Fold the whipped cream into the meringue. - Place in a deep container, covered with a lid, and freeze for 2 hours. - Before serving, leave the ice cream out of the freezer for 5-10 minutes to make sure it's nice and fluffy and there are no ice inside. 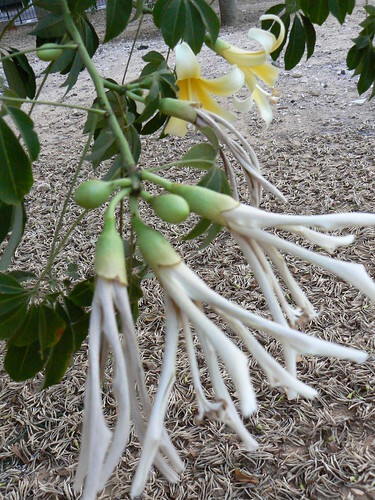 White Chocolate Scented Flowers, originally uploaded by Ayala Moriel. White Chocolate Flower, originally uploaded by Ayala Moriel. 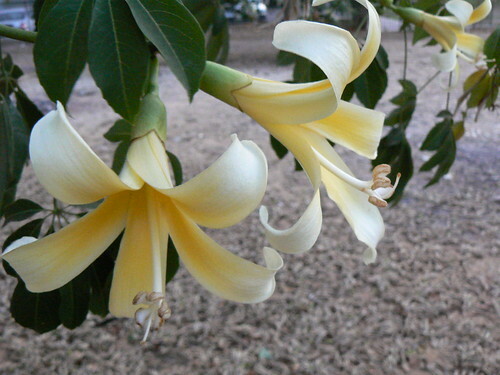 Here comes another tropic botanical mystery: these incredibly large and beautiful and almost champaca-looking flowers which possess a most unutual and non-floral white-chocolate & vanilla fragrance. A little urban forest of those thorny-trunk tropical trees grows just by my grandmother's house in Southeast Tel-Aviv and serves as a contrast to the otherwise foul street smells which intensify in the heat. Fuzzy Wool Fruit and White Chocolate Flowers, originally uploaded by Ayala Moriel. 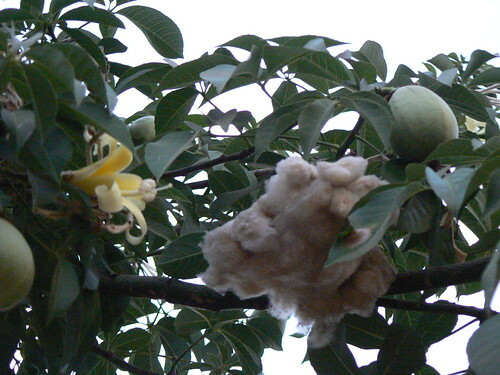 The flowers develop into a quite large green fruit that pops open to reveal a pulp that is everything but juicy: it looks like beige cottonwool and is fuzzy and soft. I stuck one of those and a plumeria flower in my hair the other day and it's the best (and literally living) perfume imaginable. Sometimes it pays off not to take too many of your own artificial perfumes when traveling! 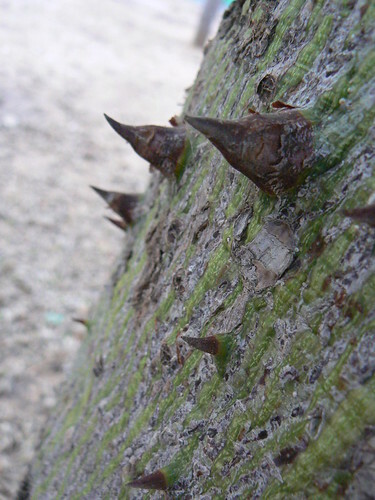 The Thorns of a White Chocolate Tree, originally uploaded by Ayala Moriel. P.s. Help me find the identity of this plant and I will send you a little edible treat from Israel...! 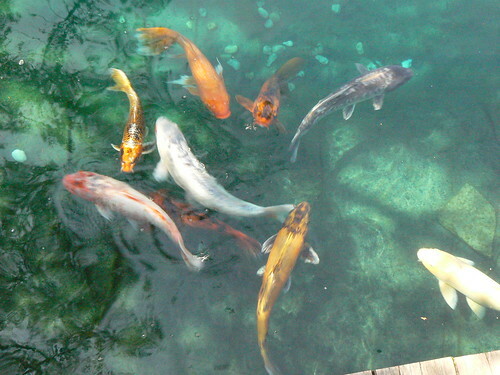 Koi, originally uploaded by Ayala Moriel. For a West-Coaster, Quebec at the end of this summer was like hot cereal eaten between two winters. A brash reminder of what summer could have been if only it existed this year, only with the sun being quite sedated as it already approaches autumn and has its rays slightly off-target, therefore bearable even at 28 celsius. The other, less urban destination, though in the midst of the city was Montréal Botanical Garden, a place I fondly remember visiting with my dear grandmother since babyhood. Even when she’s not there with me it feels as if she is. 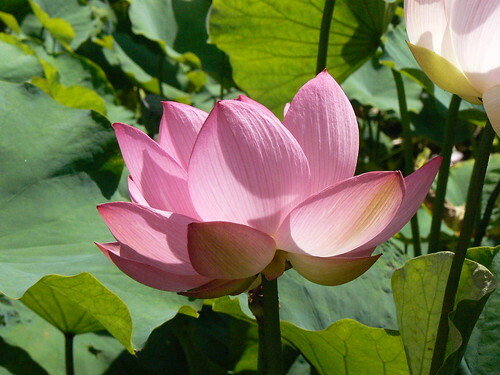 Pink Lotus, originally uploaded by Ayala Moriel. The seasons change the garden’s shape, colour and atmosphere as plants go through different phases in their life cycle, disappear and reappear. I was excited to find things in the garden that I haven’t seen before. A place I always have to check is the Aquatic Garden – a rare opportunity to smell water lilies up close and the first place where I smelled real pink lotus – at the time being larger than my daughter’s head and just as fragrant. However, pink lotus was in far more abundance that I could have ever imagined possible in the Chinese Garden (beautiful and large as it is, it seems somewhat chintzy and definitely not as authentic as Dr. Sun Yat Sen’s Garden at the heart of Vancouver’s Chinatown) Candy-sweet, warm and spicy nuances of star-anise, fresh pink lotus flowers are like no other flower. They are impressive in every possible way. 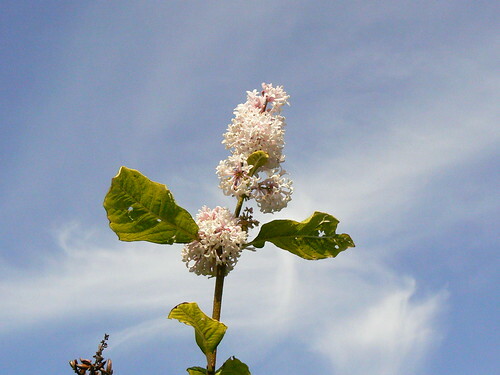 Last Lilac Lost in Skies, originally uploaded by Ayala Moriel. In previous years, one of my favourite spots was the Lilacs and Flowery Brooks Garden, a place of peaceful summer daydreaming as in that of the woman who could conjure a lilac grove besides a maze of brooks, bridges and luscious lilies of all sizes, colours and shapes. This time of the year I’ve witnessed only a couple of bushes at the end of their bloom with only a couple of clusters against the feathery skies. The lilies were for the most part gone, except for the daylily, which surprised me with its very lilac-like fragrance. 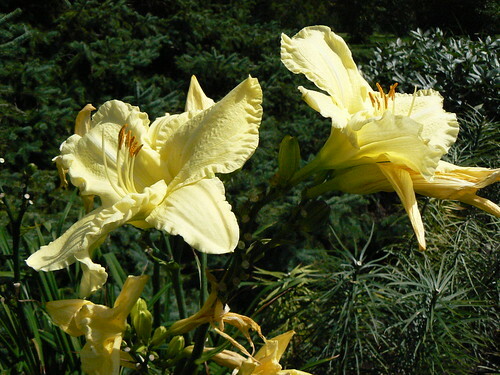 Daylily, originally uploaded by Ayala Moriel. And lastly, out of the city there were cornfields and hayfields. 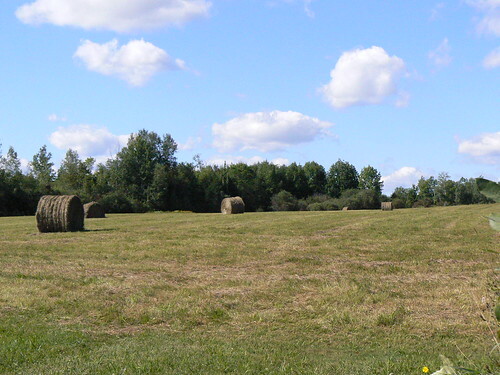 Fields of hay, wide and open after the late harvest (twhich usually takes place around mid-August, which was too rainy and wet this year) emit their fragrance quietly and expansively. Dry hay fills the air with a bittersweet sense of freedom and the outdoors, something you can only feel in the countryside during summer. Bails of hay in the shape of gigantic toilet paper roll looking picturesque in the most Van-Goghic way possible as if posing for the occasional artist passerby. Bails of Hay, originally uploaded by Ayala Moriel. The two urban highlights of my (very short) visit to Montreal were the Yves Saint Laurent Haute Couture exhibit at the art museum (launched before his sudden death); and paying a visit to the Guerlain Insititue Beaute (1350 Greene Avenue 514-933-6114) accompanied by the fine lady Joann, a customer and a perfume-friend. Peach, amber and musk are the main notes with a vague floral weaving its way through for good measure. This smelled bolder and more interesting on the scent strip and became very soft and a little too girly, powdery and sweet on my skin. Dry citrus chypre. Base is mostly patchouli, with herbaceous and citrus notes and a hint of floral. First reminded me of my own ArbitRary, and a few hours into the drydown reminds me of a tamed and toned-down Aromatics Elixir. On the skin it smells like gardenia and skin. 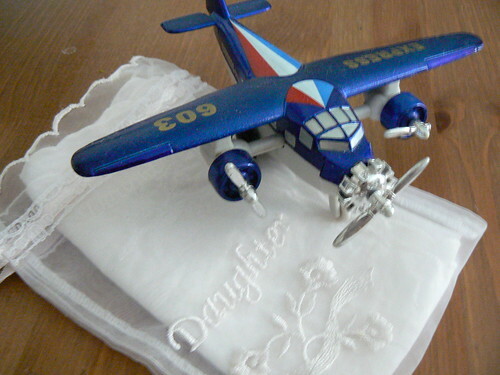 It did smell better on Joann, whos skin brought out the gardenia in a most realistic manner. We both agreed it had a certain soapiness to it though, which I thought of as very similar to Chanel’s No. 22. This smells like a subdued Serge Lutens to me. It is more sweet than woody, with resinous hints bordering on amber territory with obvious wink towards Shalimar. A little too sweet to my taste and Shalimar is incomparably better. I’ve also briefly re-visited what used to be called Coriolan (for the first time, the helicrysum and absinthe jumped at me, dry and recognizable); the new Guerlain Homme (pleasant and interesting with warm gourmand hints; nevertheless not exactly what I would call original – I could swear I smelled something similar to it recently; perhaps Rochas Homme? ); Spirituese Double Vanille (super-charged vanilla that caught me in a dry, anti-vanilla mood but otherwise I would have considered it very wearable). Vetiver Racinettes was reviewed on One Thousand Scents, a Canadian fragrance blog originating in the Maritimes. On another note, my apologies for chopping off the tuberose thread when it just barely got started; I have full intentions of continuing to write about other tuberose scents, as well as about the flower itself and its facinating odour, extraction methods and chemical makeup - most like at the beginning of October. Unexpected travel plans have interrupted my writing schedule in more ways than you can imagine. However, if you happen to be placing an order at Ayala Moriel Parfums rest assured your order will reach you just as fast as always. My laborious assistant is packing and shipping them all as we speak.